The Teen Economists: Why has Chile become an economic force in South America & will it last? Why has Chile become an economic force in South America & will it last? 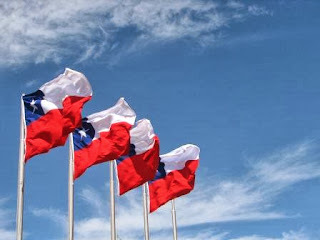 Having come out of a repressive military dictatorship of General Pinochet in early 1990s, Chile opened up as a nation, becoming more of a democracy. By detracting its powers in the country’s economy, the government allowed the free-market orientated economy to push ahead whilst achieving political stability. In past centuries, especially under the Spanish-colonial periods, Chile had been a mainly monopolistic and closed economy. Once the economy did open up to foreign trade it reaped the rewards, becoming the fastest growing economy in South America in the 1990s, undertaking an aggressive privatization process and has weathered recent regional economic instability. With Chile already having free trade ties with the U.S. as well as elsewhere in the world, the tools for success were in place to a capable trading platform. This coupled with a falling inflation, strong currency and affirmative monetary and fiscal policies meant that Chile was in a robust and stable position approaching the new millennium. What is greatly unknown about Chile from outside the continent is the broad variety and diversity its land covers. It ranges from unbearably dry desert areas in the North, around the Atacama Desert to the great trail of the snowy Andes peaks as well as the rapidly developing urban areas, including the capital, Santiago which best represents the positive moves towards future economic development. As a result the country is well stocked in its resources available for trade both at home and abroad. The success Chile enjoyed by the 1990s resulted largely from the boom in agricultural exports (historically coffee and wine being the main two exports - copper alone provides one-third of government revenue). In 1970 Chile exported US$33 million in agricultural, forestry, and fishing products; by 1991 the total had jumped to US$1.2 billion. Much of the increased agricultural production in the country was the result of rapidly improving yields and higher productivity, spurred by an export-oriented policy. Tourism also is a prominent source of economic success (approximately 5% of GDP) and is growing at an encouraging rate annually. High level of infrastructure, security and stable governance have also been a key feature in making it an attractive destination for international tourists and a distinguishing feature among other Latin American countries. Eco-tourism, in particular is being highly marketed as the fashionable type of tourism and the government hope to attract up to 4 million foreign tourists in 2015. We must remember that Chile is one of thirteen different countries in South America, many who have developed only from the 1900s rather than European and American counterparts who have had a longer time period to undertake such development. Brazil is still the leading economy, even gaining the status as one of the BRIC countries; such is the belief in the economic potential. With vast resources unlike any of the other countries in the continent Brazil is in an advantageous position. Although, the country still has huge problems of crime, inflation and unemployment that Chile for instance does not experience. Instead Chile appears the more stable economy and its smaller population is generally ‘happier’ with their lives that said the Brazilians ever seem ‘unhappy’ when carnival season comes around! Elsewhere in the continent, countries like Colombia, Peru and Argentina have a serious lack of trust amidst their markets and so not enough foreign investment comes their way. This is mostly down to the fact that unstable politics and corruption disrupt and off-put investors as they think a return on their investment is unlikely or will take too long to come back. Chile, on the other hand, is seen as having more relaxed culture and will always be the safer option to investors given the opportunities available and the stability in its markets. This is difficult to answer, but I believe it can be possible for Chile to sustain its economic development, provided its overall mentality (i.e. power to the markets) does not change and that when required the government is willing to adapt to changing economic situations. On the whole then, Chile has numerous avenues from which its economy can rely upon to support its economy. For instance, Chile has forged links with the supreme economy that is China who are the third biggest importers from Chile (primarily copper and lithium) with the knowledge that China will be an economic powerhouse for the next couple of centuries and so can be relied upon as export revenue in the future. Additionally, Chile’s relatively young population gives them an extra advantage for the coming decades as it means productivity is likely not to drop anytime soon. What is also good to see is that the Chilean government have recognised that in order to maintain future economic success, it will have to diversify the number of products it manufacturers and exports. It is this type of planning that is what will keep Chile away from falling into any future pitfalls. 'Gun Control' - Does it work? How do you feel about plastic money?